We're using these same floor in a kitchen I'm working on right now and I cannot wait for them to get installed. Gorgeous house, can I come be a guest at your little hacienda? Are these the same floors that Candice Olson used as a wall treatment in a living area? The ones she used were a wood tone. I think so. Still amazing. 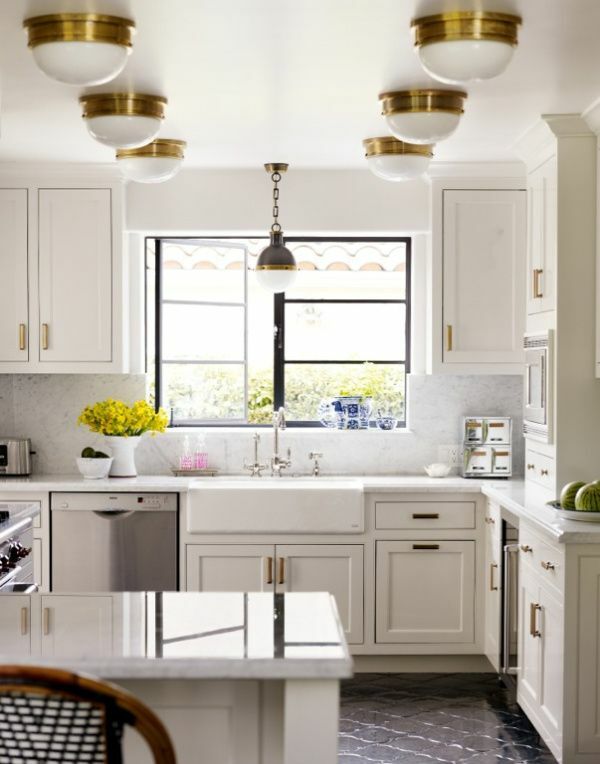 Love love the floors, hate the ceiling lights and not too fond of the brass. Maybe in the right place. They look beautiful! Love this look. Thanks for sharing, girl! love the whole look. The flooring is great. What kind of material is it? I also love the fact brass is coming back in. Boy what goes around comes around. mmm, that whole kitchen is delish! I love those floors!! amazing. I LOVE those high glossey floors....and those divine lights!! Love those floors and really enjoyed the article in BHG about how they created their new family space. 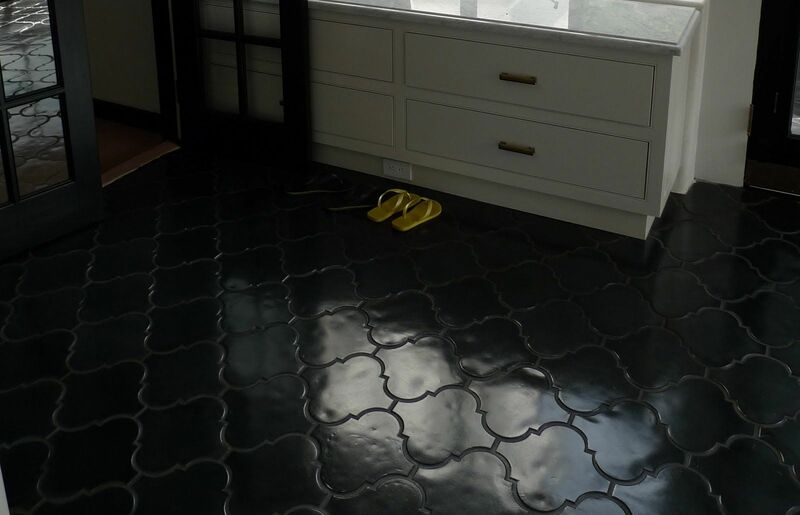 Does anyone have a link to more info about these floors? The blog no longer seems to exist, and I cannot find the BHG story either. Any help would be much appreciated. Thank you! I'm pretty sure these are made by Arto Brick, probably a terra-cotta and not the concrete offering.